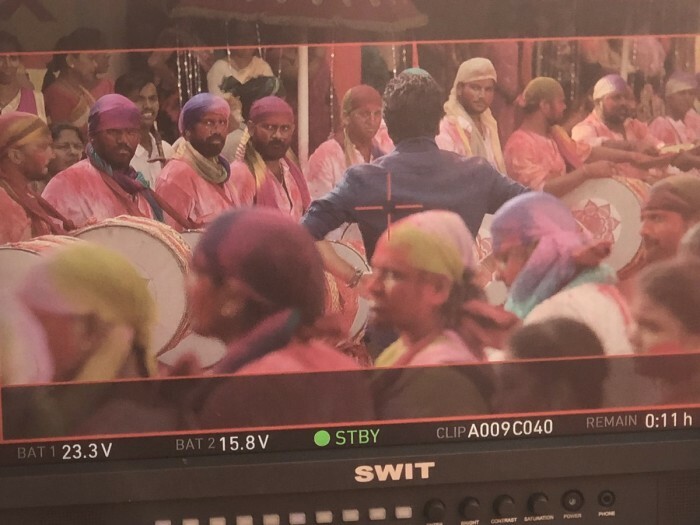 Nani, who has already begun shooting for his portions in the film, had a fanboy moment when Nagarjuna joined the sets today and the Natural Star posted a message on his Twitter handle. Akkineni Nagarjuna and Nani will join hands for a multi-starrer which will be directed by Sriram Aditya. The film is yet to be titled and is being produced by Vyjayanthi Movies. The shooting of the film is currently underway at a popular studio in Hyderabad and veteran actor Akkineni Nagarjuna joined the shooting sets today. Nani, who has already begun shooting for his portions in the film, had a fanboy moment when Nagarjuna joined the sets today and the Natural Star posted a message on his Twitter handle. Nani wrote – “This morning I was super excited to go to RFC for shoot ..like a kid .. like it’s my first time here.. Guess why ? King joins the shoot Today 🙂 Welcome on board sir.” The kid in Nani seems to have gotten excited and the actor was super excited to start working with King Akkineni Nagarjuna. This morning I was super excited to go to RFC for shoot ..like a kid .. like it’s my first time here.. Guess why ? The multi-starrer will have Nani playing a doctor while Nagarjuna will be seen playing a don in the film. Rashmika Mandanna will be playing the female lead opposite Nani in this film and the makers are on the lookout for the female lead opposite Nagarjuna. Many names are doing rounds for this role including the likes of Anushka Shetty and Nayanthara. The music of this yet to be titled film is being composed by Mani Sharma while the camera is being cranked by Sham Dutt. This will be Nani’s first big multi-starrer in his career and expectations are quite high since the film is said to be have loads of humour in it. ani is at the peak of his career in films after his latest production, AWE, turned out to be a super successful film. Starring Kajal Aggarwal, Regina Cassandra, Nithya Menen, Eesha Rebba, Murli Sharma and Priyadarshi in the lead roles, AWE is one of the path-breaking films in Telugu cinema. And with this multi-starrer in his kitty, he will only look to amplify it further.